Here is what will be Coming up on Woman of Steel 4 in January. Domingo offers to help Marcelo in exchange for his freedom. Débora learns that Greg and Aida are lovers, and Daniel finds out that Sanchez is missing. Phillips asks Mendoza for 40 strong men so he can send them undercover with Indio Amaro to recover Nicolás. Meanwhile, Mario forgives Domingo. Tuti gathers the family to inform them that they will be selling the house on Romero’s instructions. Vicenta and Rosario try to cross the border. Romero moves Rosario to a shelter. Meanwhile, Phillip’s men arrive at Amaro’s hacienda, and Phillips gives the order to capture Indio, alive or dead. Indira inadvertently ruins Phillips’s plans. Meanwhile, Mario tries out the new drug that he plans to introduce to the market. Indira tries to take her own life, while Phillips tries to comfort her. Lumbre tries to humiliate Pepito and undresses him in front of Carmencita. Nicolás’s father attacks Indira and threatens to kill her. Meanwhile, Gallo announces he is entering the Matamoros presidential race. Tiburón begins his training as a member of the cartel. Gallo begins his political campaign, and Roscas spies on him. Rosario announces her pregnancy. 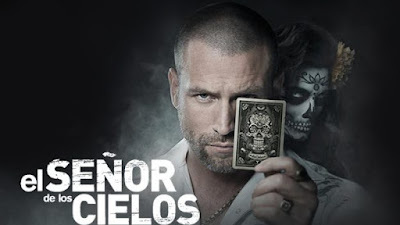 Marcelo tries to cross the border with Vicenta to save his daughters, but on the way he is persecuted by one of Mario Casas’s men. Nicolás saves Carmen from being assaulted by Lumbre. Meanwhile, Pepito flees the bank, afraid that Salvador will discover him. Rosario suffers a haemorrhage. Meanwhile, Tuti arrives at Gallo’s event with the Cubans and offers to help with his election campaign. Victoria has a bad feeling, and asks Phillips not to go to work. Mario Casas is furious to discover the camera in his room. Salvador lies to Vicenta about money laundering. A body is discovered in Sánchez’s truck. Greg is arrested while trying to save Aida. The negotiation continues between the Aceros and the Petates. Nicolás’s football teammates pay homage to him by putting his name on a shirt. The Acero brothers continue their discussion about the money laundering business. Marcelo discovers that Nicolás is alive and with Indio. Pepito is demoted and no longer has access to Indio’s account. Meanwhile, Aida arrives in McAllen, helped by Phillips. Pepito tries to get information from Carmen about the tunnels and their location. Vicenta asks Romero to help set Aida free. Felipe hears Deborah accusing Josefina of murder. Salvador asks Rosario not to leave the house in case anything happens to her. Andrea confronts Salvador over the death of her brother. Meanwhile, Marcelo tries to save Domingo from the bomb that Mario planted. Tuti offers to be the Coordinator of Gallo’s election campaign. 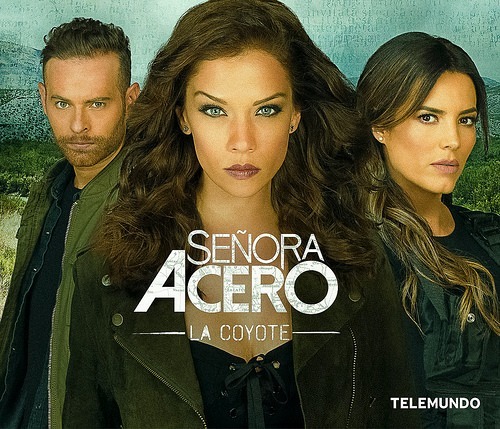 Indira learns that Nicolás is alive, while Indio finds out about Romero’s past. Mario Casas begins his revenge against Indio. Phillips and Vicenta manage to rescue Nicolás, while Salvador tries to rescue Carmencita but fails. Nicolás is in hospital, still in shock after all the mistreatment he has been subjected to. When he sees Indira, he reacts aggressively and hits her. Mario Casas seduces Indira. Meanwhile, Gallo and his family prepare for his political speech, unaware of the attack planned against him. Woman of Steel 4 airs on Telemundo from Mondays to Fridays at 22h00. The omnibus airs on Saturdays and Sundays at 20h00.